Women are at the centre of a paradigm shift in the workforce as globalization, the economic crisis and Talent Demand converge to create new and powerful biases for more women at work. There are however several changes on the Horizon, some of which are influenced through regulations that can permanently change the experiences women have at work. 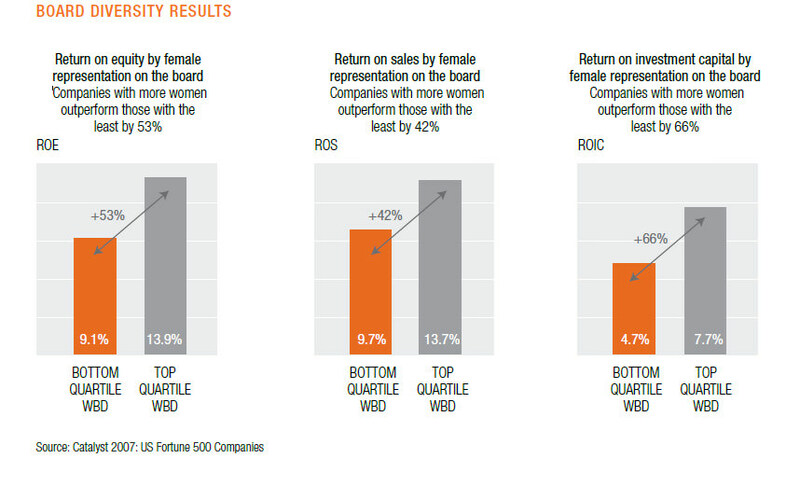 Increasingly the participation of Women on Corporate Boards has inspired heated debates around the world however it is amply clear including in India that the initial push for representation of Women on Boards had to come through regulation with the belief that their contribution and the impact of the performance of the Business would eventually become apparent. And yet the percentage of Women represented in the workforce is the lowest in India as compared to other South East Asian countries like China, Hongkong, Japan, Malaysia and Singapore. The traditional mental models and ethos emanating from patriarchal mindsets is seen as a Chief Reason for the challenges of educated women Ramping off from jobs. India has the lowest national female labour force and the largest leak in the Pipeline takes place early on in a Woman’s Career- mostly between Junior and Middle Management Levels which is when the filial demands on Women Employees are the greatest. To understand the phenomenon it is important to understand Women and roles in a Patriarchal Society. Most agricultural civilizations downgraded the status and potential of Women, at least according to modern Western standards and to the implicit standards of hunting and gathering societies. Agricultural civilizations were characteristically patriarchal, that is, they were run by men and based on the assumption that men directed political economic and cultural life. Furthermore, as agricultural civilizations developed over time and became more prosperous and more elaborately organized, the status of Women deteriorated from its initial levels. Individual families were normally setup on a patriarchal basis with the husbands and father determining fundamental conditions and making key decisions that were received with humble obedience from Women who bowed to this male authority. Patriarchal family structures rested on men’s control of most or all property, starting with land itself and marriage was based on property relationships and it was assumed that marriage and therefore sub-ordination to men was the normal condition for the vast majority of women. Patriarchies raise important questions about women themselves. Many women internalized the culture of patriarchies, believing that it was their job to obey and to serve men and accepting arguments that their aptitudes were inferior to those of men. Patriarchal societies reward and validate women for submitting their power making it difficult for young women to choose over their primary roles as homemakers and caregivers and prioritize careers instead. The Leakage in the Woman Talent Pipeline is largely owing to filial responsibilities and expectations where a Woman is expected to care for family, children and elders over pursuing her aspirations for an identity and economic independence. Infact ambition deficit is a common feature among Women from such societies who do not aspire for identity or using their potential to contribute through careers. It is therefore not uncommon to see educated, professionally qualified, urban, English speaking Women still seek social approval through the institution of marriage. For those who do stay in the workforce it is a tough challenge to assert and handle power and control in a meaningful manner. Considering many young Women do not lead in their personal space, it is invariably difficult to handle the complexities of power, assertion, networking and develop the ability to lead teams of men and women in primarily male dominated workplaces. Having said that we have several instances of success as Women juggle multiple roles and emerge winners to take on Leadership roles and now have opportunities to make their presence felt on Boards. The numbers are still too few to warrant celebration. Organizations must focus on enhancing their Inclusion Quotient to enable Women Empowerment and Leadership. 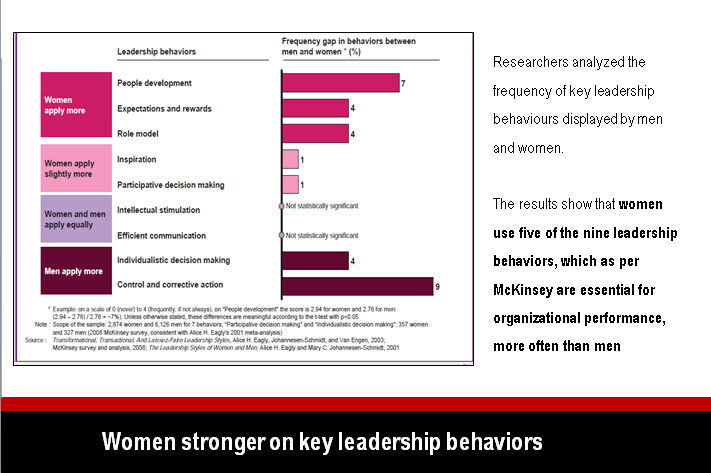 We need many Men and Women to harness Leadership Potential within Women Executives. Women are themselves sitting on the biggest opportunities to strive, rise to leverage their communal behaviors and strengths- those of empathy, kindness and fairness to create better organizations, workplaces of the future that have the courage to conduct Business fairly and demonstrate Leadership of purpose – only like Women can!